A group of Year 11 students from MacKillop College, Werribee visited the Surf Coast for their Outdoor and Environmental studies camp last week. 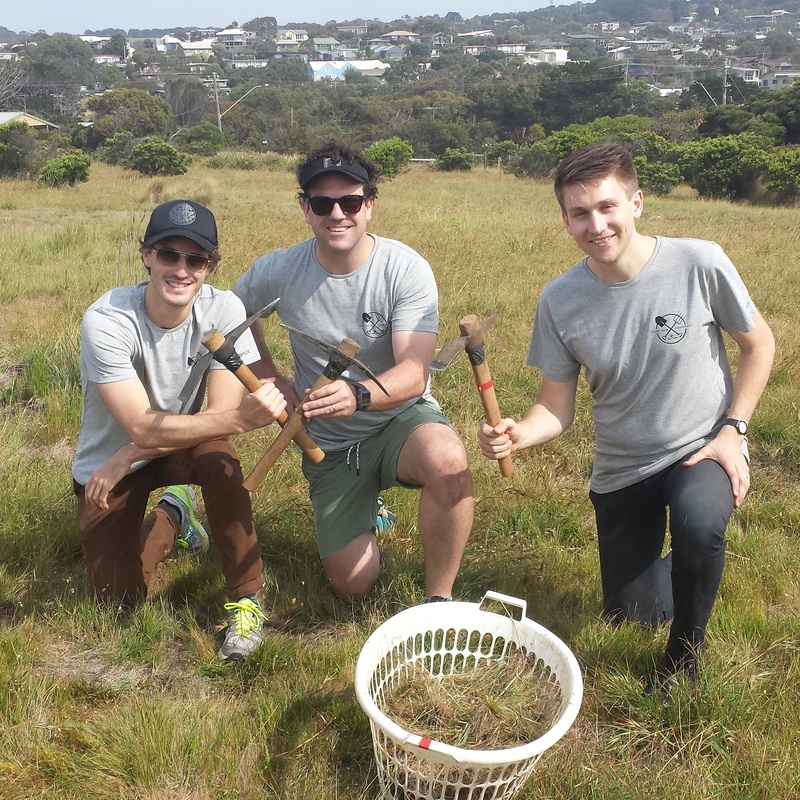 80 Rip Curl employees have joined forces with locals to protect the coastline as part of an annual event that has seen more than 80,000 indigenous plants planted on the Surf Coast over 14 years. Enthusiastic Rip Curl staff from the Torquay Head Office worked at a range of sites including Point Impossible, Bells Beach, Bird Rock, and Whites Beach. Rip Curl staff were divided in to 6 teams, coordinated by volunteers from Surfers Appreciating the Natural Environment (SANE), Jan Juc Coast Action, Torquay Coast Action and staff from the Great Ocean Road Coast Committee (GORCC). Rip Curl staff Aloise Bersan, Sam O’Dwyer and Robbie Cullen aren’t afraid to get their hands dirty on the 2014 Rip Curl Planet Day. Rip Curl CEO Stephan Kay said the results give him a sense of achievement and pride. “It’s great to see the transformation of the coastal foreshore that’s occurred as a result of these efforts. “I love seeing the regenerated sections of the coast that Rip Curl employees have worked on when I’m going for a surf or walking the cliffs,” Mr Kay said. 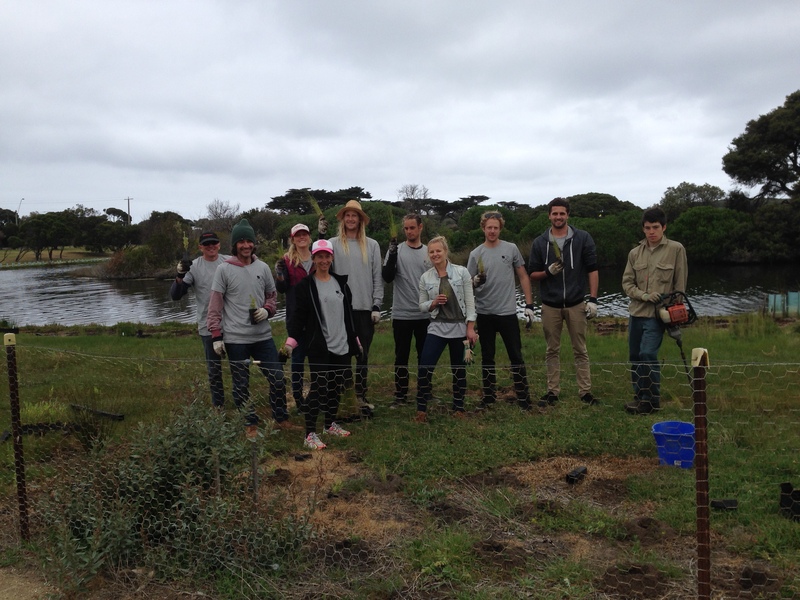 Each year, Rip Curl gives back to the community and demonstrates a strong commitment to the local environment by giving their employees the opportunity to participate in a paid work day of volunteering. Rip Curl employees completed a river clean-up and planting day at Spring Creek, one of many locations targeted on the Day. Planet Day Director Mark Flanagan said the primary focus of the event is to positively contribute to the public spaces in and around the Surf Coast. “We liaise with the community groups that help manage the areas throughout the whole year and work under their guidelines,” he said. GORCC Environmental Projects Coordinator Alex Sedger said Rip Curl is a strong advocate for environmental protection. “The event allows a major global company to give back to the coastal environment, engage their staff, and raise awareness around local environmental issues. “The Rip Curl employees weren’t afraid to get their hands dirty in planting and weeding works, and some went to extreme lengths to collect rubbish in Spring Creek using stand up paddle boards,” said Ms. Sedger. 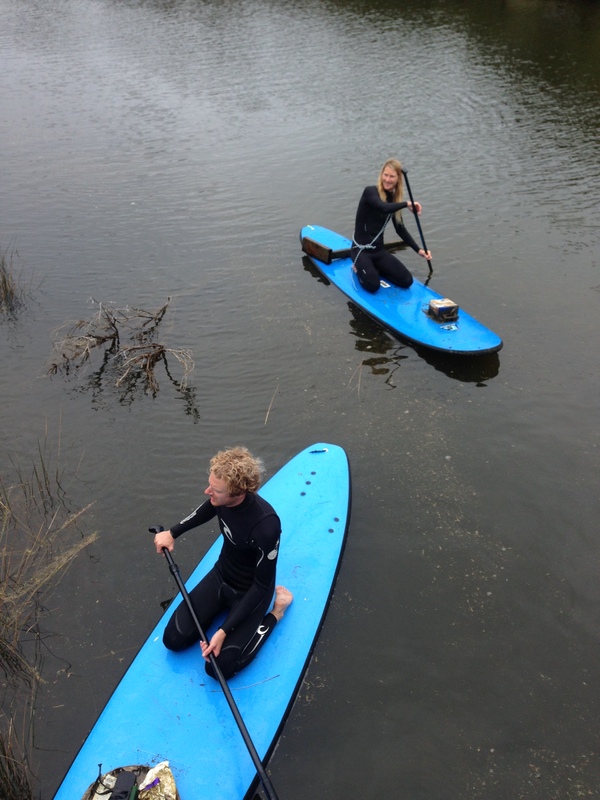 The Rip Curl team makes cleaning fun using paddle boards along Spring Creek. Ms. Sedger said a number of unexpected items of rubbish were discovered. “A car battery, bull-bar and about 50 golf balls were removed in the process,” she said. Click here for further information on the Rip Curl Planet Day, or here to find out how you can start volunteering along the surf coast. 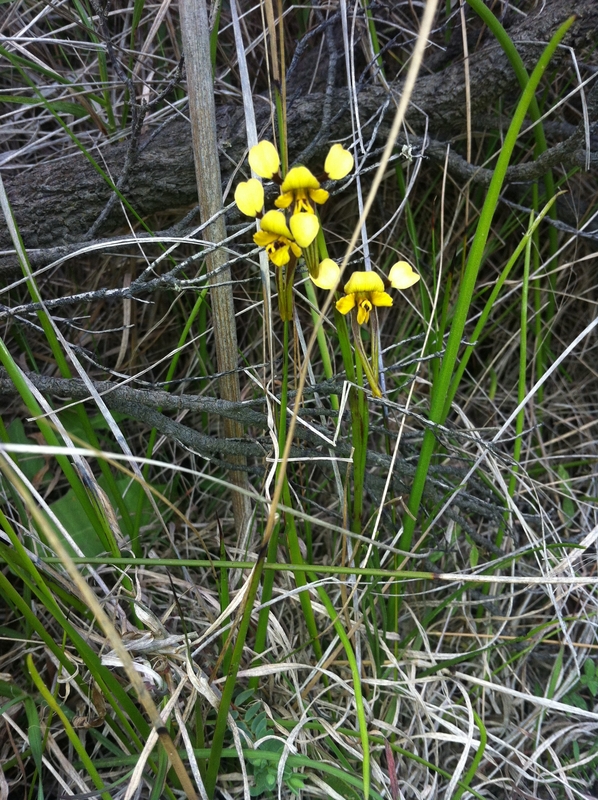 The vulnerable Swamp Diuris orchid has a brighter future thanks to a fungus-focused regeneration program led by the Royal Botanic Gardens Melbourne and Jan Juc Coast Action (JJCA). The process has involved Royal Botanic Gardens Orchid Conservation Officer Neil Anderton, with assistance from JJCA volunteers, taking small root samples of the orchid which is growing at Bird Rock, Jan Juc. 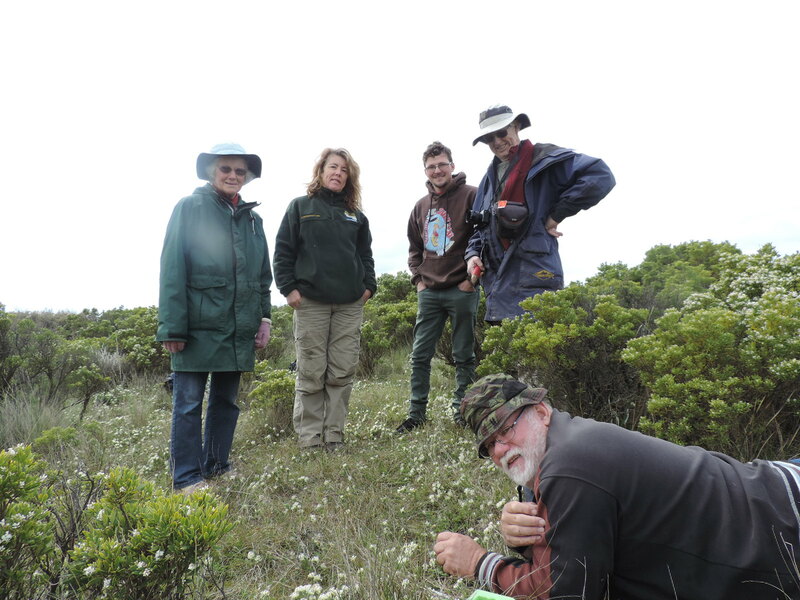 JJCA volunteers Roma Edwards, Tom Elford, and Ian Edwards with Great Ocean Road Coast Committee (GORCC) Conservation Supervisor Georgie Beale (second from left) observe Orchid Conservation Volunteer Neil Anderton as he safely removes a root sample. Mr. Anderton said taking the root samples was the first of many steps in the process, which would hopefully result in the production of precious orchid seedlings. “This is a non-destructive method which means the plant usually continues to grow as it would before the procedure,” he said. After the roots were removed from the plants’ stems using sterilized equipment, Mr. Anderton worked with Nursery Technician Chris Jenek to extract crucial fungi which will be used to create healthy, thriving Swamp Diurus seedlings for future planting. The exposed roots of the Swamp Diurus orchid. Neil removed the healthy root growing on the left side to for the fungi extraction. 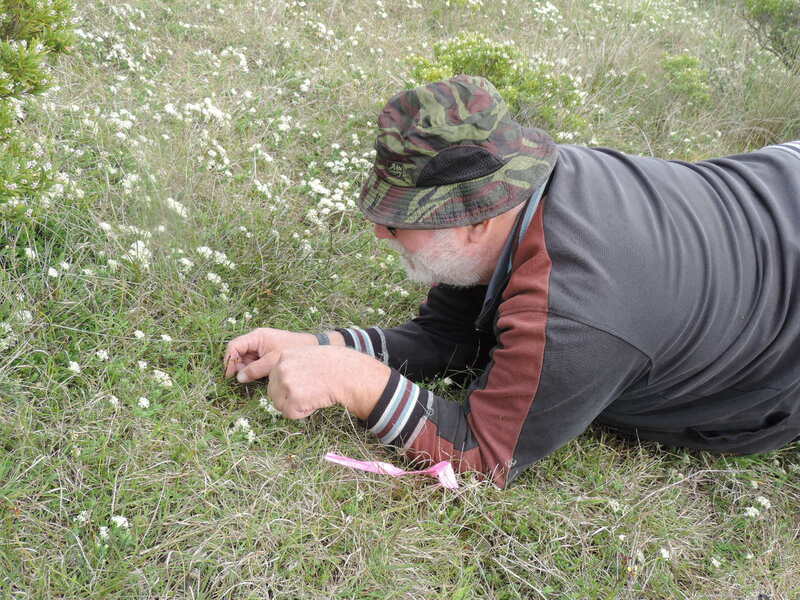 Neil Anderton said land clearance was a major contributor in the dwindling orchid species population, with very few Swamp Diurus communities remaining. “I have assessed the area and estimate there are around 50 plants flowering or in bud at BirdRock presently. “There are Swamp Diurus populations inland near St Arnaud, Stawell and Nhill, and further west from Port Campbell. “However, land clearance has reduced the species range dramatically, meaning it is now listed as vulnerable in Victoria,” he said. The beautiful Swamp Diurus orchid is listed as vulnerable in Victoria with one of the few communities remaining in Jan Juc. JJCA Volunteer Ian Edwards attended the Swamp Diurus recovery day, helping Mr. Anderton collect the fungi samples. “We hope to learn more about the Swamp Diurus plant and how we can help protect it for future generations,” he said. 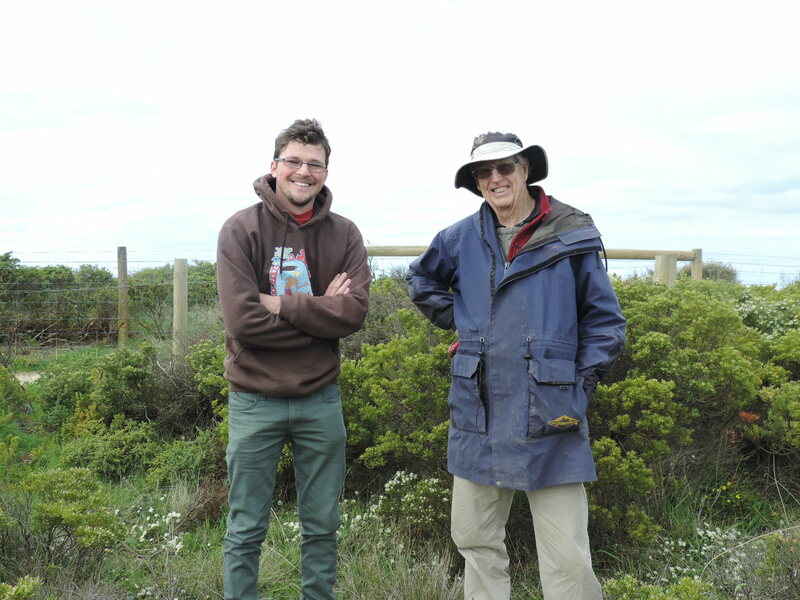 Jan Juc Coast Volunteers Tom Elford (left) and Ian Edwards share their conservation beliefs at the orchid-recovery day. Mr Edwards, a long-term member of JJCA since 1994, said land degradation had resulted in severe impacts on the indigenous floral population, as had introduced species. “From 1860 onwards, sheep and cattle grazed on the fragile land for about 100 years. “Plants brought in from other countries and even other parts of Australia have also severely impacted on native species. 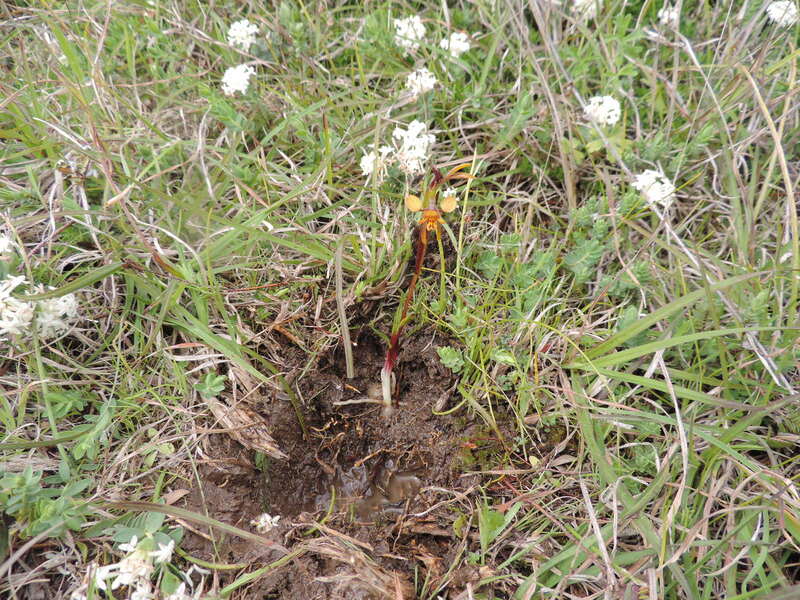 “Weed seedlings have spread to local land where they compete for survival with (often weaker) indigenous species, gradually killing them,” he said. Neil Anderton of the Royal Botanic Gardens Melbourne takes all the necessary precautions, ensuring the Swamp Diurus has the best chance of survival. If you would like support the JJCA’s environmental work, contact Luke Hynes on 0406 113 438 or click here for more information on other groups operating in our region.